Following the successful deployment of HIVE with the Dutch and German Armies in September 2018, at this year’s I/ITSEC in Orlando, Cervus Defence will display it’s Training Data Exploitation (TDx) system; Hive from 26 to 30 November at stand #865. First-class militaries the world over are recognising the need to make better use of the vast amounts of data that underpin all training activity. Yet many of these militaries are struggling to implement, or find tools to support, effective training data exploitation strategies and approaches. 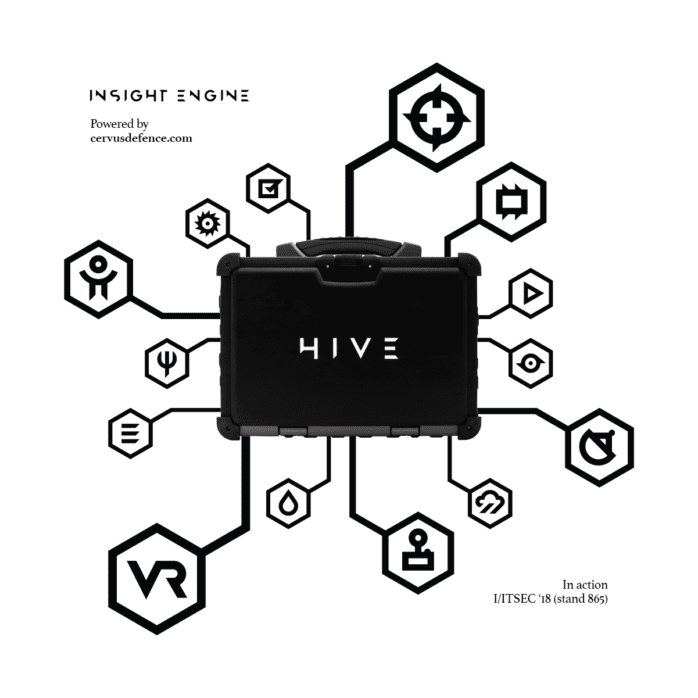 Hive has been specifically developed to meet these needs and is already in-service and helping armies to optimise their performance based upon its automated, intelligent capture, storage, analysis and presentation of vast training datasets in near real-time. We will be demonstrating how it can be used across the Live, Virtual and Constructive (LVC) environments. We will also explain how it can transform the training support process from one of primarily reactive, subjective observation to one of proactive, objective mentorship, and facilitates a true step-change in the effectiveness of the end-to-end military capability process. Improved assessment of performance- through KPIs and data visualisation derived from near real-time analysis, benchmarked against NATO performance metrics. Improved training management- through improved training assurance, training design and training system performance through more effective trend analysis. Efficiencies and savings within the current, and future, training mechanisms. Broad Utility Across Defence – data exploitation in support of: Lessons process, force development, analysis, experimentation, research and acquisition and support approaches. Cervus Defence develops and markets internationally sought-after technology applications and services that exploit military and security training data. This provides our customers with a comprehensive understanding of their operational performance. Arrange an appointment via hive@cervusdefence.com or swing by the booth.